Amid the rising tide of books on Marx and ecology, this book stands out. Much of this work has been about whether Marx’s analysis of capitalism was a blind commitment to industrial society that has ignored natural circumstances and ecological crisis. Kohei Saito brings Marx’s ecological notebooks into the debate, rediscovers Marx’s environmental concerns and their relevance to the critique of political economy, and reinforces the argument that Marx saw environmental crisis embedded in capitalism. 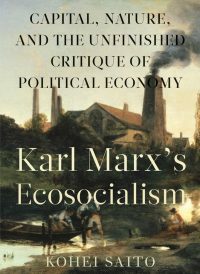 The book’s basic message is that Marx was concerned with ecology much more than is commonly believed. 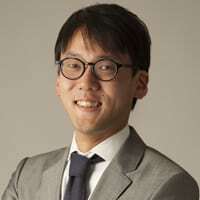 Unlike most of the scholars in this debate, Saito takes into account published and unpublished excerpts, private notes and records of Marx; traces the text and context of any specific uses of ecological terms; and identifies the influential figures from the natural and agricultural sciences that appear in Marx’s ecological writing. Marx famously speaks in Capital of a metabolic exchange (Stoffwechsel ) between nature and society. Human labor confronts materials of nature as natural forces, appropriates and transforms them, and when changing external nature also changes itself. This reciprocity, however, takes a destructive form in the capitalist mode of production: capital exploits nature to the extent of disturbing the metabolic exchange between man and earth, preventing the return of constituent elements consumed by man to the soil and hindering the operation of natural conditions that are vital to lasting fertility of the soil. Saito traces the origins and use of the term “metabolic exchange” in Marx, and examines some previous accounts in this regard. Alfred Schmidt, for instance, claims that the term comes from Jacob Moleschott. In a letter to his wife Jenny of June 21, 1856, Marx mentions the term “Moleschottian metabolic exchange.” Since the publication of his Life Circle (1852), Moleschott has been a pioneering figure in the popularization of metabolic exchange. Some of Marx’s early letters give reason to believe that the Marx family even had this book in their library. Alternatively, one might take Roland Daniels, Justus von Liebig and James Johnston into account. Daniels, who was a close friend and comrade of Marx and Engels in the 1840s, seems to be the initial source of the term. He wrote a manuscript titled “Microcosmos” and asked for Marx’s opinion in 1851. In the summer of 1851, Marx starts studying and excerpting from Liebig and Johnston, who were famous for their elaborated approach to metabolic exchange. The latter figure is also known for his natural scientific concept of metamorphosis, a concept that Marx employs in Capital many times. One of the central concerns of the book, about which the reader is repeatedly reminded, is the impact of Liebig’s agricultural chemistry on the formation of Marx’s concept of metabolic interaction between nature and society. The excerpt record in the fourth section of MEGA shows that Marx read Liebig’s Agricultural Chemistry in 1851. But a clear and systematic study of Liebig is not present until the first manuscript of the third volume of Capital (1865). This indicates that Marx did not develop a critical account of ecological crisis when he first read Liebig. The guiding thread of Marx’s early study of Liebig is rather Liebig’s optimism about the possibility of overcoming ecological destruction by scientific management and systematic use of synthetic fertilizers. Saito speculates that an additional factor in Marx’s interest in Liebig’s optimism might be his 1845 studies on James Anderson in the Manchester Notebooks. Anderson investigates the possibility of advancing the natural fertility of soils and the positive effects of using drainage and manure to improve the productivity and price of crops. Marx’s 1851 study of another book by Anderson on agriculture in Europe shows that Marx continued to follow the same optimistic line of thinking. Anderson seems to have led Marx to read additional works by Liebig and Johnston in the following years. Unlike the 4th edition of Liebig’s optimistic work Agricultural Chemistry (1842), which Marx studied in the 1850s, Liebig introduces a rather pessimistic argument in the 7th edition of the same book (1862), which Marx studied in the 1860s. Liebig here uses the term “robbery culture” (Raubbau), referring to the metabolic rift and ecological disasters caused by the agricultural–chemical practices of capitalist production. Saito points out that Marx introduces another ecologically critical term, “irreparable rift” (unheilbarer Riß), in the first manuscript of the third book of Capital (1865) in the chapter on ground rent. The term is borrowed from Liebig, and Marx seems to share Liebig’s new pessimism when he writes that “the vitality of the soil is squandered, and this prodigality is carried by commerce far beyond the borders of a particular state (Liebig).” A more detailed inquiry into the term was originally postponed until the preparation of the third volume of Capital. Marx, however, changes his mind, and starts working it out in the first book of Capital (1866–1867). The sources and development of Marx’s ecological thinking are investigated here in more detail than anything written before on this topic. The book also demonstrates that Marx’s largely ignored private records, published in MEGA, can shed new light on the stages of his intellectual journey. Perhaps it is no exaggeration to say that contemporary Marx research, as well as Marxist ecosocialist theory, enter onto new terrain with this book.